Your travel arrangements are in place and the excitement of fall travel is beginning to build, so what’s the last step? It’s time to build your San Luis Obispo fall travel itinerary. Fall in SLO is a great way to experience local events, festivals, concerts, and more, so we’ve put together a list of our top things to do in San Luis Obispo during fall. If you’re a wine lover or foodie then California Wine Month in San Luis Obispo will be your life, love, and happiness. 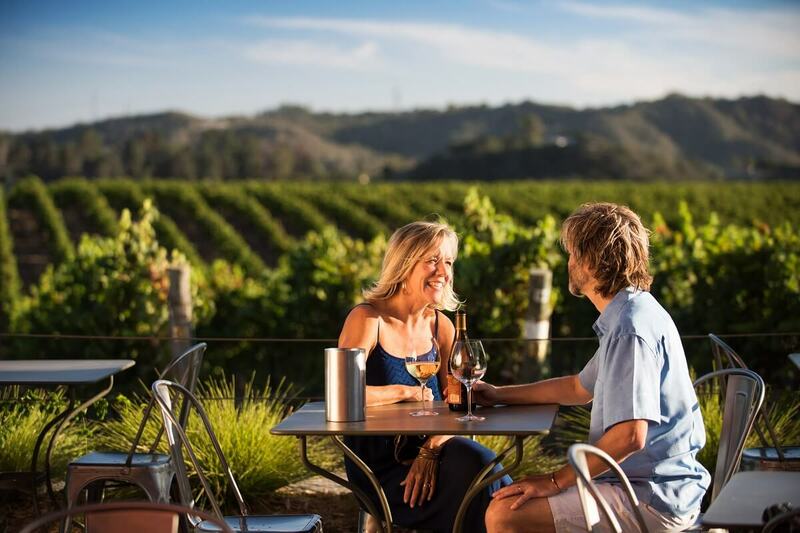 Each year San Luis Obispo wineries, wine bars, and vintners put on wine tasting and food pairing events that travelers and locals alike are sure to enjoy. If you haven’t experienced a wine country harvest season, fall in SLO is the time to do it. Experience seminars, tours, and tastings galore during San Luis Obispo wine country’s California Wine Month this September 2017. If you’re a festival lover, avocado fanatic, or margarita maniac, the Morro Bay Margarita and Avocado Festival 2017 is the place for you. Experience the perfectly paired magic of fresh guacamole and delicious margaritas while enjoying fine company, music, arts, sunshine, and more! Hosted on the Morro Bay Embarcadero, this festival is the perfect couple’s getaway, girls’ trip, or bachelor party. This festival is an outdoor enthusiast’s favorite excuse for a vacation to San Luis Obispo. With events ranging from a 50-mile endurance running race to a 28-mile mountain biking race, every fitness buff is sure to find the event for them. Come for the race and stay for the festival with guest speakers, live music, and delicious local food. The SLOUltra festival is the perfect fall adventure to add to your racing calendar. Formerly known as Beaverstock Festival, the Whale Rock Music & Arts Festival is an annual event created to support the artists in the community. Since it’s conception, the festival has attracted art lovers and festival goers alike, who come to bask in the sun, sway to music, and enjoy a local glass of wine. As if the festival wasn’t perfect enough, all of the proceeds go to the local non-profit MUST! Charities. Come to enjoy a festival and leave feeling great about your contribution to the community. If you have a youngin’ who is into surfing or just enjoy watching surf competitions, F.G.R’s Still Frothy Surf Festival is a fun, annual event that is sure to get your adrenaline pumping. The festival was created to encourage kids to get out and be active, and has since grown into an event full of family-fun, local entertainment, and delicious food. If you’re in the area and want to witness the local surf culture, this festival is the place to be during your fall vacation. Just about the perfect way to experience downtown San Luis Obispo’s local businesses and eateries, get your Sip ‘N’ Saunter tickets today! This fun event gives guests the chance to taste local wines and bites while experiencing the SLO lifestyle. Taste at SLOcal businesses, make new friends, and then saunter on to the next stop on your festive fall experience. Experience the beautiful Central Coast at the 36th Annual Morro Bay Harbor Festival. Browse the Morro Bay Embarcadero and enjoy local seafood, water races, live music, and so much more. Admission to the festival is free, so it’s a great stop for families or travelers on a budget. Come out and experience a San Luis Obispo style fall festival. 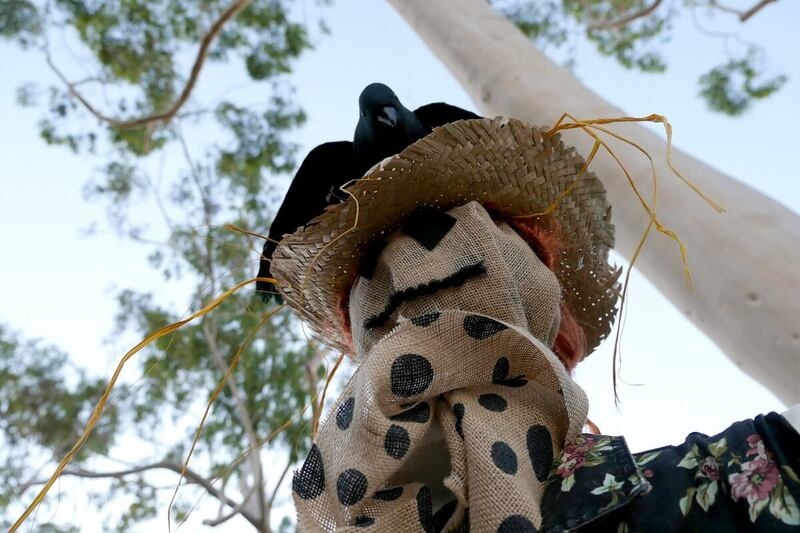 A family-friendly fall event on the Central Coast, the Cambria Scarecrow Festival is a local favorite for its festive happenings. Enjoy a scarecrow garden, local wine, live music, a silent auction/raffle, and much more in the small town of Cambria just north of SLO on highway 1. If you’re traveling sans-kids, attend the festival on October 28th and enjoy the festival’s Oktoberfeast, a day of beer, brats, and entertainment! Chock-full of fun things to do, the Avila Valley Barn Pumpkin Patch is a definite must on your fall trip to San Luis Obispo. Festive fun for all ages, the Avila Valley Barn holds a pumpkin patch, local bakery, market of farm-fresh produce, petting zoo, and even a u-pick activity for those looking for a DIY experience. 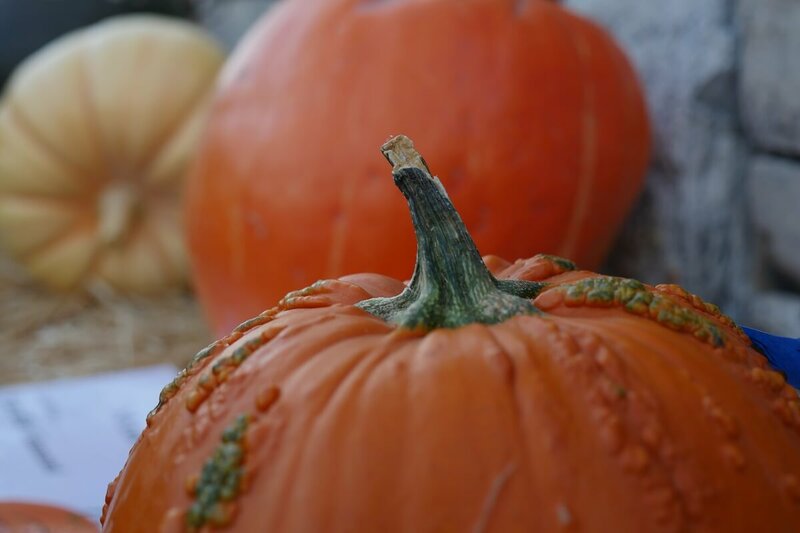 Experience festive fall fun at the Thursday night Downtown San Luis Obispo Farmers’ Market. Go in costume and participate in a costume contest, or bring your kids and trick-or-treat at local businesses. Whatever Halloween fun you’re looking for, you’re sure to find it at the Downtown SLO Farmers’ Market.